pg_chameleon is a lightweight replication system written in python. The tool can connect to the MySQL replication protocol and replicate the data changes in PostgreSQL. Whether the user needs to set up a permanent replica between MySQL and PostgreSQL or perform an engine migration, pg_chameleon is the perfect tool for the job. The talk will cover the history the current implementation and the future releases. The audience will learn how to set up a replica from MySQL to PostgreSQL in a few easy steps. There will be also a coverage on the lessons learned during the tool's development cycle and a small demo. Federico works as database consultant chez Loxodata. He started his career as Oracle DBA in 2004 and fell in love with PostgreSQL in 2007. Previously he managed a multi terabyte PostgreSQL installation for a well known social media monitoring company. 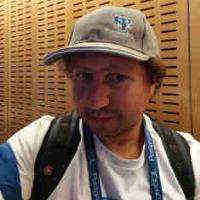 After moving to the UK in 2011 he founded the Brighton PostgreSQL meetup in 2015. Recently he relocated to France. He's an amateur Python Developer and an amateur Photographer.